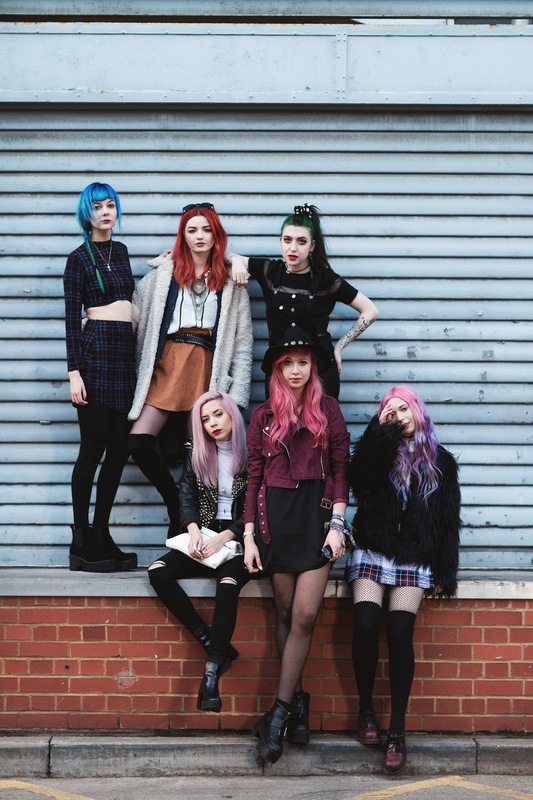 Support your local girl gang…. 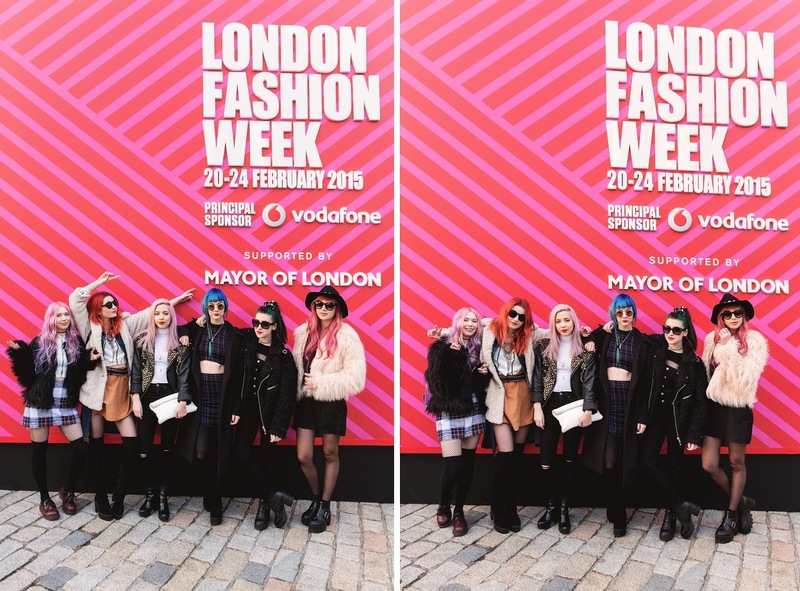 Living in Manchester, it isn’t all that often that I get to spend time with my blogger friends from all over the UK (and beyond), so this London Fashion Week some of my favourite rainbow-haired gals and I capitalised on the rare opportunity of being in close proximity to one another and shot some photos together with Oscar May. 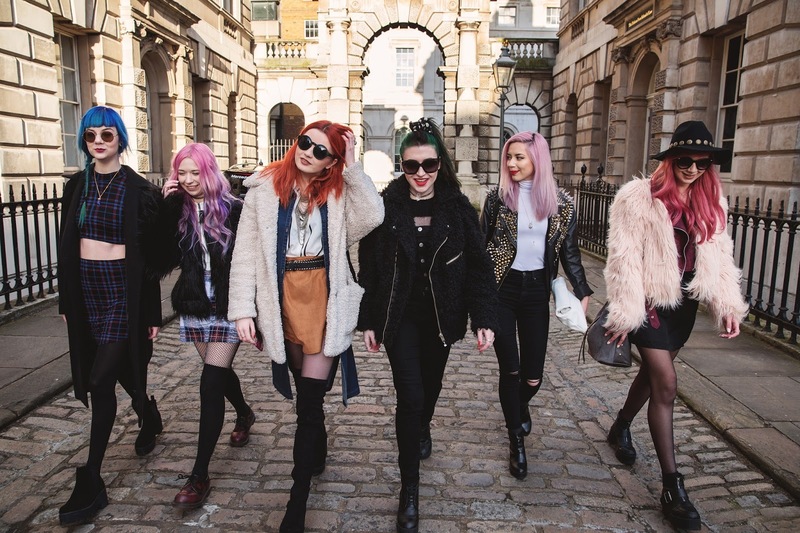 As you may have seen if you follow any of us on Instagram, we worked together with BooHoo (who kindly put us up in a hotel together – more on that sleepover to follow…) and took over their Instagram for the day, whilst wearing predominantly BooHoo clothes. You can get the full details on my outfit in this post, and check out the other girls’ blogs (linked further down in this post) for info on theirs. 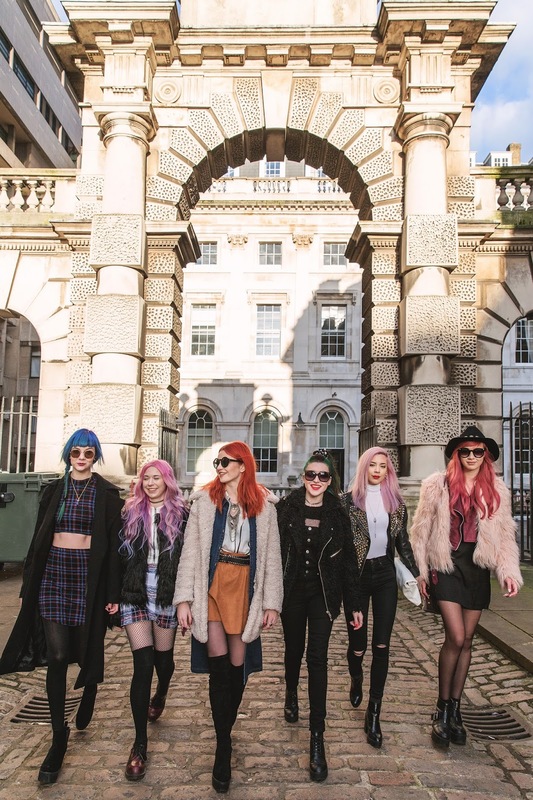 I’m completely obsessed with the resulting photos, my particular favourites being the girl-band-esque shots against the grey shutters and those of us walking into Somerset House in formation. We chose not to coordinate our outfits (or rather we weren’t organised enough to coordinate our outfits), but I think this worked out well in the end as our styles are just about similar enough to provide some cohesion. Loved seeing these pics on social media! You are all so COOL! You all look AMAZING and every single outfit is on point. I would have loved to see you guys at LFW! You all look so wonderful! Love these shots they are all so cool! Aw, I love all the pictures of you together, especially the first and the last one! You look like you are in a girl band, a pastel dream 🙂 Love every single of those jacket … Looks like you had a blast! You look like a cult! love it! can't even deal with how perfect this is aha! Love your hair girls ! 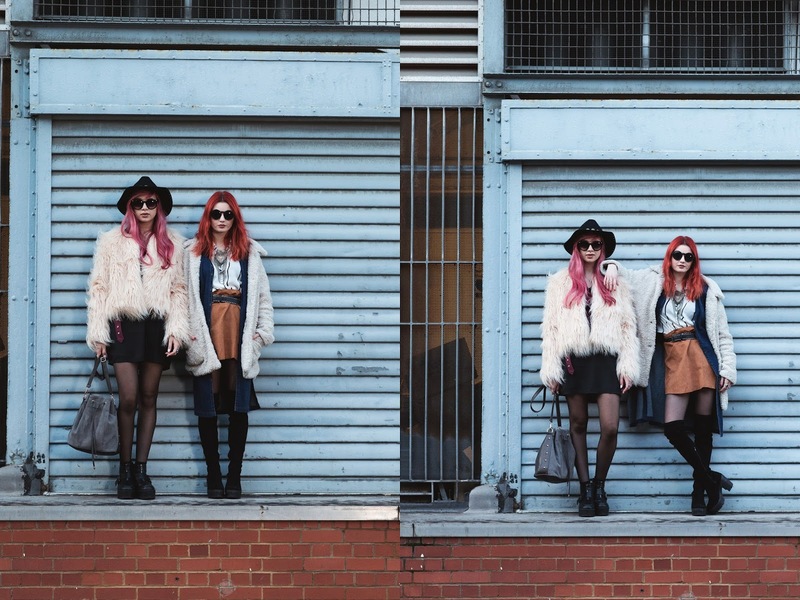 You girls are just too cooooooool – the photos look insane! Absolutely incredible pictures girls, you all look amazing. I can't get over the fact of how cool and stylish you all look! If I had saw you in the street I would have instantly been blown away by you all!! Oh my god this is so amazing I can hardly deal. Love it!!! 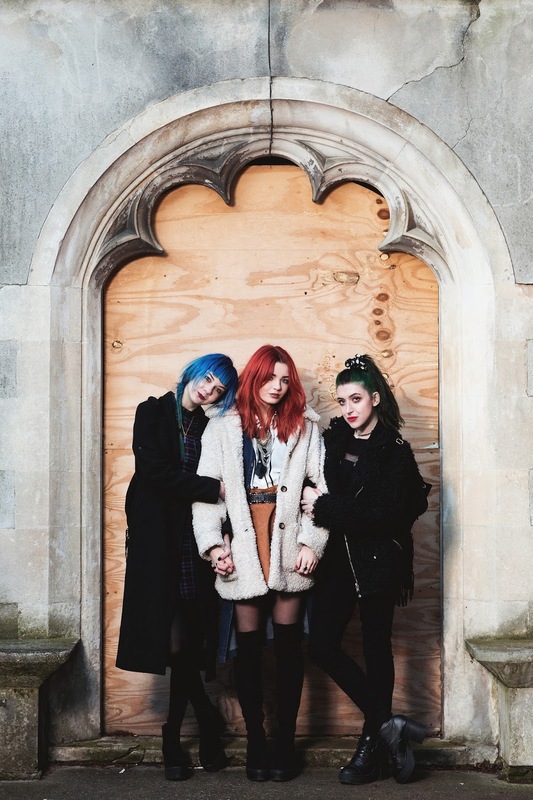 You're all so cool, it looks like a photoshoot for a rock'n'roll girls band album. Super cool pictures, you all look great! Wow, all are looking fabulous! You all look fantastic! Love the site.